Breathtaking vistas surround Magnolia House in every direction, with lush landscaping being ideal for any photo opportunities. The 57,000-square foot Clubhouse devotes an entire wing specifically to special occasions. Each interior space is beautifully decorated and designed to incorporate classic Florida architecture, natural stone, and distinctive modern decor. 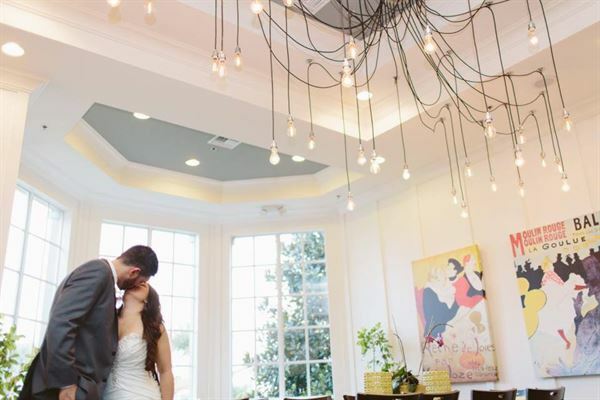 The Magnolia House can be a flawless backdrop for a picture-perfect ceremony or cocktail reception as the sun sets behind you on the Magnolia Square Lawn. The best way to understand Magnolia House is to see it for yourself. We want to make a lasting impression on you while you explore the Magnolia House as the exclusive, hidden gem that we have become over the years. There is never a one size fits all at Magnolia House! We welcome you to review our menu suggestions and packages. At Magnolia House, we will customize our packages to make sure you receive everything you want and nothing you do not need. With multiple indoor and outdoor options to choose from, your day will be as unique as you. Thank you for considering Magnolia House and we look forward to serving you and your guests. The studio is 3200 sq ft. We have a 2800 sq ft solid wood floating dance floor. We have 3 restrooms, seating for up to 50 people. We can accommodate up to 150 people. We have a fantastic in ceiling sound system. A solid pine free standing bar. Our own disco lighting system with Disco ball. Great space for all kinds of parties including, anniversaries, Birthdays, graduations, quinceañera, bar mitzvah, weddings, Baby Showers etc. We have many draping and Up lighting options. many colors. We also provide black or white chair covers, Table clothes and a variety of center piece options. Please check out our catalog of photographs from some of our most recent events.